Astralis are the most winning team in Counter-Strike. So much so that it’s become easy to brush over wins. Expectation breeds a certain level of apathy. There’s no uproar of praise in the wake of an Astralis victory, especially if it’s over Team Liquid, and especially if it’s at a BLAST event. As they lift the trophy in São Paulo, their third piece of BLAST silverware, the moment may lack substance to many. The Danes walk away with the better part of a $250k prize pool in front of a screaming crowd of international fans, and it’s just another day on the CS:GO circuit. Despite device posting an insane 1.35 rating at BLAST Pro São Paulo, the event and it’s performances are being forgotten before the confetti even has a chance to settle. Compared to other large-scale international events, BLAST isn’t as rigorous with their format. They play a full bo1 round-robin over the course of one day, and then the finals on the next. Most, at home, can’t keep up with the barrage of matches and there’ll be many games one will inevitably miss or only have a glance at. The final feels to be the only part that matters, given it’s a bo3. Yet it’s still only one series to win a whole event, and understandably, this leaves a strange aftertaste. Broadly, most people watching online feel there are too many one-off games for a tournament that puts up a huge prize pool; that they’re prioritising a live experience over competitive depth. BLAST’s pacing and format grounds it in novelty far before prestige. But that doesn’t mean the games – especially the group stage ones – are totally dismissable. Maybe as voyeurs of such a wonderfully stacked open circuit of large-scale international LANs with varied and deep structures, we are spoiled. Or at least, over-saturated with reference points. 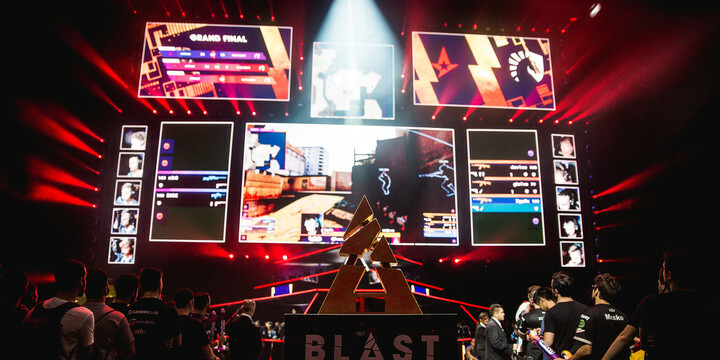 Astralis’ win at BLAST lacks meaning not because of what they did at the event, but because they didn’t win in as profound a way as they did at Katowice 2019, or EPL S8, or IEM Chicago, et cetera. We know they are capable of such an insanely high level of play in intense, series-laden formats. As such, BLAST’s five bo1 games and a single bo3 doesn’t seem to be enough of a challenge for CS:GO’s modern-day Hercules. In a way though, consistently winning such a novel, volatile format is as much a challenge. 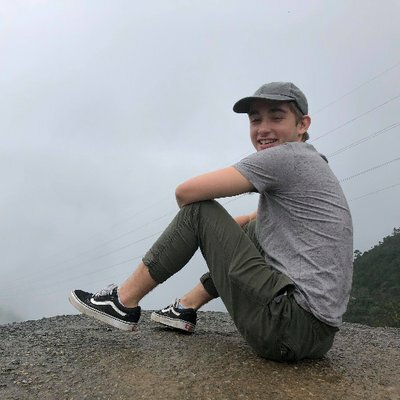 “The second day is really tough because you are done at 11 o'clock the first day and then you have to wake up at 9 o'clock to try to watch videos of the other teams and you don't really have time to prepare,” he further elaborated. At BLAST Copenhagen 2018, we saw Astralis fall to the fast-paced nature of this format on home soil. They were upset by NiP in a close 16-14 Overpass game, and then, hours later, a convincing 16-9 loss to Na`Vi. While they are the best team of all-time, bo1 games shrouded in little preparation can make any team vulnerable. Intangibles like ‘form’ and ‘momentum’ play a lot into the proceedings of these type of events. At BLAST Copenhagen, s1mple posted one of his highest rated events ever at 1.43. With s1mple averaging 94.4 ADR across seven maps – despite a loss – unsurprisingly, Na`Vi were able to steam-roll over most of the event. Yet despite how much volatility and randomness should occur to Astralis’ results, they remain almost flawless in their dominance of BLAST games. Across the twenty bo1 games they’ve played at BLAST with their current roster, they’ve won eighteen. This may be an indictment of the format for some, but to me, it shows the true excellence of Astralis. They are consistently an outlier side regardless of the situation. BLAST isn’t just a whitewash event, it’s a showcase of the Danes’ transcendent ability. Put them against dangerous, scrappy, unknown entities in a one-off game and they’ll win just as consistently as if they were in a grand final series on a big stage against well-prepared opposition. BLAST events mightn’t mean a whole lot to the average fan on their own, but taken together, they shed a different light on a team already over-exposed in praise. It should go without saying, but it’s not easy to win that many best-of-ones so consistently. It’s a different type of strength for a team to have. They aren’t resetting between maps in a series, looking to take it to the enemy on their pick. As happened in São Paulo, Astralis had to reset to play a totally different team on the same map on four different occasions in a condensed amount of time. They had to adapt and deploy their game on Dust II to a wide variety of opposition. From having to deal with FaZe’s fast paced forces and grouped pushes to ENCE’s well-timed splits, they ran against many different styles of game. Yet, they didn’t falter. Astralis continued to show-up match-to-match in a way we’d expect from the best team of all-time on paper, but rarely get to see so often in practice. Astralis’ BLAST Pro São Paulo win might be fairly put on the back-burner of our memories, but it shouldn’t be totally dismissed or discredited based on the format and nature of the event itself. While it’s not the same type of win as other big international LANs, winning a BLAST event in the way Astralis did is, on its own, a truly exceptional feat. When we add in their history of winning these tournaments, we get a better idea of just how dominate they are as a team in more ways than one. BLAST’s are novel, but they aren’t unimportant. Their format provides a different type of exercise for teams to show off their strength. And Astralis have never looked stronger.